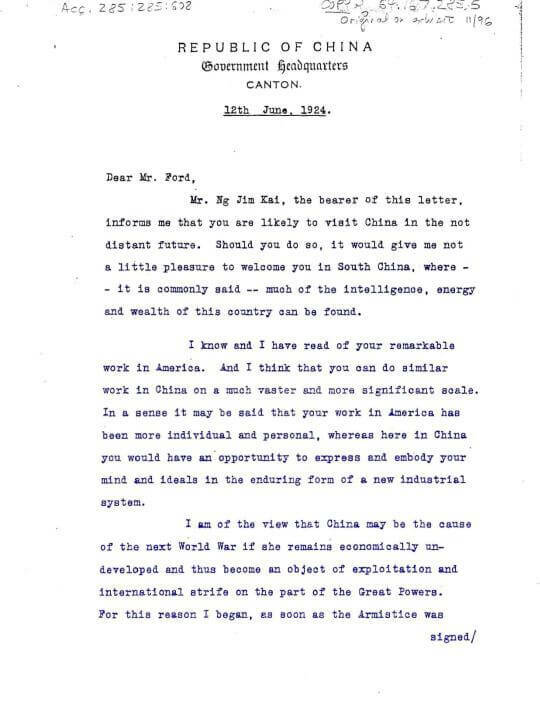 York Lo: In 2013, the Ford Motor Company released a 1924 letter which Sun Yat-sen sent to Henry Ford inviting him to open up a plant in south China – the bearer of the letter was a Chinese American merchant named Ng Jim Kai (a.k.a. Ng Tung Kai 吳東啟, 1859-1935). A major financial backer of Sun Yat-sen for over a quarter of century, Ng moved to Hong Kong in the turn of the century after making his fortune in California as a successful potato farmer. In Hong Kong, he was a pioneer of the garment and shipping industries and also invested in agriculture, timber, mining, railroads, banking and insurance. Previously information about Ng’s life was very limited but recently I came into contact with his grandsons Donald Lam and David Wan who shared with me a copy of his grandfather’s Chinese obituary and other information. The obituary which was privately circulated (not available in any libraries which I am aware of) provided lots of insights into the remarkable life of this self-made immigrant who helped to transform China by developing modern industries and supporting Sun’s revolution. Ng, the eldest of three sons, was a native of Hoiping (開平), one of the four counties in the Guangdong province commonly referred to as Sze Yap (四邑) where vast majority of early Chinese American immigrants came from. His birth name was Ng Tung Kai, with Chinese alias of Mao-xiang (懋湘) and Lian-fang (蓮舫). After he migrated to America, he converted to Christianity and adopted the English first name of Jim, which is how his English name of Jim Kai or Ng Jim Kai came about but he continued to use Ng Tung Kai as his Chinese name. According to his obituary, he started working at the age of 15 in a shop which sold oil and sugar in Hoiping, and came to America when he was 18 (which would mean in the year 1877), where he first worked as a miner and then a laundryman. According to a 1911 article about Chinese farmers in California published in the most widely circulated weekly magazine in America at the time, Ng started working in one of the vegetable fields in southern California in around 1887. He learned everything he could about vegetable farming and within a short period of time, he became the part owner of a Chinese gardening company and then struck out on his own by renting 60 acres of the old Cudahy ranch in Florence (southern Los Angeles) to grow cabbages. He then proceed to grow potatos in 120 acres of land in Inglewood (southwest Los Angeles, the article misspelled it as Englewood), planting them in September and harvesting them in January. By 1893 he had made US$12000 from his potato venture which the magazine said allowed him to live like a millionaire back in Canton where he had built a palatial residence, prompting the author to describe his story as “From Coolie to Capitalist in Six Years” and referring to him as “Millionaire Jim Kai”. His obituary claimed that by 1889 (it also mentioned 16th year of the reign of Emperor Guangxu which would have been 1891), Ng was the most profitable and biggest potato farmer in America with thousands of acres of farmland and have earned the title of “Potato King”. There are different versions of how Jim Kai was treated in America. His obituary mentioned that he was well respected in American society and was allowed to ride free on any trains and in the first class railcar as white passengers in a time when racial segregation was strictly enforced. It also stated that he was never harassed by US immigration officials in the ten times he re-entered the US nor did his relatives encountered any harassments. The Saturday Evening Post article however stated Ng was not immuned to the Chinese Exclusion Act despite of his “millionaire” status and was detained by a U.S. marshal on re-entry from China in at least one occassion. Regardless, Ng was very proud to be Chinese and according to his sons, always preferred to buy Chinese-made products over Western products. The defeat of China in the Sino Japanese War of 1895 was a wake up call for Chinese globally and like many overseas Chinese merchants at the time, Ng decided to return to China to pursue two causes which he believed would save his country: industrialization and revolution. According to his obituary, Ng folded his business in the US and moved to Hong Kong in 1899. One of his first ventures in Hong Kong was a business he was familiar with – he started a farm raising goats and growing mushrooms in Chinese land which stretched 10 kilometers (20 li) near the water channel between Lantau Island and Ma Wan known as Kap Shui Mun . The business thrived for several years until the British claimed sovereignty over the land and effectively shut the farm down. His ventures in the garment industry in the Crown Colony were more enduring. According to his obituary, his first garment factory in Hong Kong was called the Sun Kwong Lee Co (新廣利號) in 1899, which would make the firm one of the earliest garment factories in Hong Kong but unfortunately, little records exist of this firm. His better known garment ventures in Hong Kong were Chinese Foreign Knitting Co of China Limited (華洋織造廠, sometimes also called China Foreign Knitting, hereafter refer to as CFK) and Li Man Hing Kwok Weaving & Manufacturing Co (利民興國織造廠, hereafter refer to as LMHK), both of which were established in the 1900s, a decade of active Chinese entrepreneurship in the manufacturing sector fueled by the Anti-American Boycott movement in 1905 (erupted across China in response to the discriminatory policies of the US government against Chinese in America and American controlled territories) and the Anti-Japanese Boycott movement in 1908. In his 1913 report, Anderson further described the situation of Chinese-owned garment factories such as CFK and LMHK in Hong Kong, stating that “the knitting establishments are quite modern for Chinese concerns in their buildings and other arrangements, and show constant improvement in plant and in the quality of output. All of them use American knitting cottons almost exclusively, claiming that the American yarn runs better in the machines and otherwise suits their needs. The factory described makes stockings in four standard colors besides white, and underwear in three standard colors besides white. The product of the factory described sells at $11 to $13 local currency per dozen pairs of underwear and at $1.60 to $2.20 local currency per dozen pairs of hosiery…. The goods for local use are distributed largely through the Chinese department stores in Hongkong and through local brokers to small Chinese shops and peddlers. Those exported are sold direct to the Chinese exporting firms and are often sold at substantially the cost of manufacture to prevent the accumulation of stocks. The amount of such goods sold in the interior districts beyond the ordinary scope of foreign trade is constantly increasing at a very satisfactory rate and in line with the growing use of such goods by the Chinese all over China. The competition met by the goods is almost exclusively Japanese, the Japanese factories usually having traveling representatives in this field selling directly to retailers“ According to a survey of knitting mills in Hong Kong in 1921, the authorized capital of CFK was $200,000 with paid up capital of $194,070 and for the year ending Feb 19, 1921, the firm registered a net loss of $62,212.97, while competitors Kam Hing Knitting (金興織造,led by Sir Robert Hotung and other compradors) and Dong Ah Knitting (東亞織造) were both profitable. The board of CKF was led by Ng, followed by Chai Kung-nu, Wang Tai-shan (黃棣珊), Chong Hing, Li Yan-yue, Mak Lai-tang (麥禮庭), Ma Ying-biu, Chow To-chow, Chow Sing-lee, Wang Heung-lau, Tam Sze-yai, Fang Chan, Hung Tong and Ng’s eldest son Ng Man Chiu (吳孟超, adopted). LMHK’s profit and loss situation was not disclosed but its paid up capital was larger at $500,000 and its board consisted mostly of board members of Sincere, Wing On and the Sun. Wei San Knitting (維新織造), which in 1913 was the only Western owned competitor of CFK and LMHK and founded by the Anglo-American trading house Shewan Tomes & Co had by 1921 been absorbed by the Wing On Group. CFK eventually shut down around 1934 and as a company was finally dissolved in 1956. LMHK existed until its dissolution in 1951. Another area which Ng was a pioneer was in the area of shipping. Since the Second Opium War, coastal and river traffic in China had long been dominated by foreign firms. 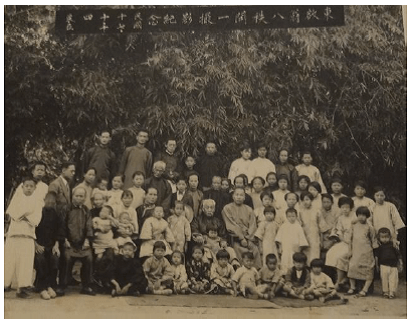 In 1906, a number of sick overseas Chinese returnees were denied passage to their ancestral homes in Sze Yap by the British shipping firm of Swire. Infuriated by the situation, Ng and two of his friends incorporated the Sze Yap Steamship Company (四邑輪船公司) in Hong Kong with Ng serving as its president. The firm started regular service between Kongmoon (江門) and Hong Kong with three leased vessels – Shun Lee (順利), Hing Lee (興利) and Tak Hing (德慶). Backed by $100,000 raised from financiers such as Li Sing Kui (李星衢) of Hong Nin Bank and Tam Hok-po (譚鶴坡) , Sze Yap was able to purchase Shun Lee and built a new vessel On Lee (安利). Sze Yap was so successful that according to Swire comprador Mok Ying-kwai (莫應溎), Swire decided to discontinue its Kongmoon line in 1907. Later Shun Lee was sold and a bigger ship Tai Lee (大利) was purchased and Sze Yap Steamship existed until its dissolution in 1953. In 1915, Ng took on an even ambitious undertaking and participated in the founding of the first Chinese owned transpacific shipping line – China Mail Steamship Co (中國郵船公司), which operated three vessels (China, Nanking and Nile) between Hong Kong and San Francisco. Unfortunately China Mail Steamship ran into difficulties and although Ng tried to help with a number of proposals, the firm went bankrupt in 1923. In addition to garment and shipping, Ng was also involved in some of the earliest Chinese-owned modern commercial banks and insurance companies in Hong Kong. 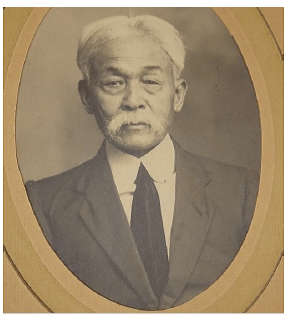 He was the superintendent of Luen Tai Insurance (聯泰燕梳) and director of Hong Nin Life Insurance Co (康年人壽), both of which were founded by fellow Chinese American merchant and revolutionary financier Li Yuk-tong (李煜堂). He was also a director of National Commercial & Savings Bank (國民商業儲蓄銀行), which was founded in 1922 by Ma Ying-biu and other founders of the Sincere Co. Ng’s other ventures in Hong Kong included Kwong Mow Hing Timber Yard (廣茂興木棧) in Mongkok and Kwong Ying Cheung Contractor Co (廣英祥建造). According to his obituary, Ng was personally responsible for contributing and raising over HK$2 million in financial support to Sun’s revolution over time. Ng first came into contact with Sun Yat-sen in America in the 1890s and became a lifelong loyal supporter. The obituary mentioned that he was involved in financing the failed plot to assassinate Governor-General Te-shou (德壽) with a bomb in 1895. In 1900, he backed Feng Chi-you (馮自由) and Chan Siu-bak (陳少白)to start a revolutionary newspaper, China (中國日報) in Hong Kong and personally bailed the newspaper out three times without asking for any repayments in its first few years of operations. The obituary also revealed that when the famous Huang Huagang uprising (黃花崗起義) in Canton failed in the spring of 1911 and its injured leader Huang Hsing (黃興) fled to Hong Kong, Ng admitted him into hospital under an assumed name and paid for his medical bills until his full recovery. In November 1911, the revolutionary force successfully took over Guangdong province and Hu Han-min (胡漢民) became the interim governor. Li Yuk-tong, Ng’s business partner and father in law of Feng Chi-You, was placed in charge of the interim provincial government’s finances which was in dire straits as the deposed Ching officials had emptied its coffers before they fled. Ng quickly raised HK$480,000 in Hong Kong in one day and transmitted the cash to pay the soldiers in Canton, for which he received first class commendation from Hu and the title of Senator. Through his garment factories he also manufactured 5000 uniforms for the new revolutionary army and donated medical supplies to the cause. Ng continued to support Sun in his campaigns against Yuan Shi-kai and his warlord successors – in 1913, Sun as grand marshal appointed Ng as a member of his Fundraising Committee and in 1924 he was named a member of the Central Finance Committee of Sun’s regime in Canton. 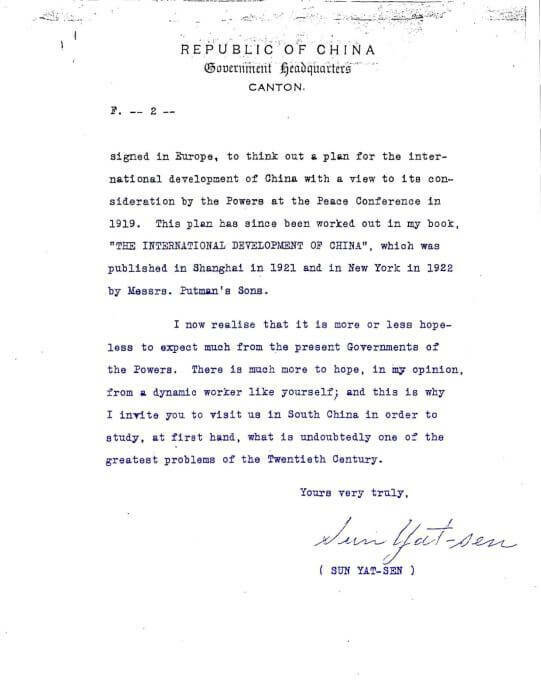 It was perhaps in this capacity he brought Sun’s letters to Henry Ford and it is likely that Ng did know Henry Ford, perhaps via his farm’s purchases of Ford tractors. It is worth noting that both men had similar backgrounds – both were self-made entrepreneurs who started out in farming with thirst for knowledge and innovation. Unfortunately, due to war and other reasons, Sun’s wishes for Ford to build an auto plant in China did not become a reality until decades later. In addition to acting as a liason with American capitalists, Sun also gave Ng the tasks of developing modern agriculture across the nation by making him Nationwide Director of Agriculture. Despite his failed initial attempt at recreating his Californian faming success in Hong Kong, Ng maintained his interest in developing agriculture in China. He conducted an extensive nationwide survey which stretched from way up north in Heilongjiang to way down south in Hainan Island and concluded in 1925 that Hainan was the ideal location for cultivation if proper harbor infrastructure was constructed and subsequently went to the US to raise funds to construct a port in Yulin, Hainan. In addition, he also attempted to farm 3000 acres of land in Shatin, New Territories, Hong Kong. Unfortunately for various reasons, neither the Hainan nor the Shatin project came into fruition. In 1926-27, the demand for American cotton yarn from Chinese garment factories was strong and Ng formed a company to purchase US$200,000 worth of American yarn – unfortunately the trade turned out to be disastrous as the US dollar appreciated while the value of yarn dropped. As a result, he incurred losses of over HK$200,000 and wiped out his entire life savings. Ng also invested in silver mines in Guangxi, iron mines in Fujian and gold mines in Enping, Guangdong but none of these ventures were successful. In the later part of his life, Ng spent most of his time in Hong Kong and Canton, where in addition to the many enterprises he had established, he was heavily involved in a number of charitable organizations. In Hong Kong, he was a co-founder of the YMCA in 1901 where membership grew from dozens to thousands. He was also amongst the many Chinese merchants who financially contributed to the establishment of the University of Hong Kong endowment fund in 1911. In Canton, he was a benefactor of Canton Christian College (later Lingnan University) and Kwong Hua Hospital. His native Hoiping was also close to his hearts and he was a founder of Hoiping Chamber of Commerce in Hong Kong in 1912 and donated money for constructing roads and bridges back in Hoiping. On July 23, 1935, Ng passed away after a brief illness in the Hong Kong Sanatorium. His memorial booklet included inscriptions from major Kuomintang officials and he was buried in the Chinese Christian Cemetery in Pokfulam. Ng had two wives and 19 children (5 sons and 14 daughters) and his many descendants now spread across the globe. Two of his daughters were also pioneers like their father. Third daughter Ng Fu Chen(吳富珍) was one of the few female doctors to practice Western medicine in Canton in the 1930s while sixth daughter Ng Tak-ming (吳德明, aka Louise Woo, 1905-1939) was one of the earliest Chinese aviatrix. A graduate of Heald’s Business College (now Heald College), Louise worked as an accountant for the Overland Route of the Union Pacific Railroad in California, a staff member of the Chinese Foreign Ministry and English secretary of the Kwangtung Aviation Academy (KAA) in Canton before marrying Lam Wai-man (林慧民), the younger brother of Kowloon Motor Bus co-founder Lam Ming-fan (林銘勳) in Hong Kong. Louise took flying lessons at the KAA alongside many who later became leading figures in the KMT air force and also learned to fly with the famous aviator “Crazy Harry” Abbott in San Francisco. Great article by York Lo regarding my grandfather. It appears, through his relationship with Dr. Sun Yat-sen, that he might have known my grandfather who raised thousands of dollars in the United States during the 1910s to 1920s. I am presently doing research on my grandfather and was in Taishan, Guangzhou, Hoiping and Wuyi in December 2015 (https://m.youtube.com/watch?v=tLgMObG9MEc) and will be returning this year. Jeff – thanks for reaching out. Your grandfather Jun Bing Mar sounds like an interesting character – I searched his name in Chinese (馬炳蓁) in the HK old newspaper database and one article from 1956 came up about his wedding to Lo Yuet-shim in Hong Kong. It refer to him as a “Los Angeles general store and warehouse tycoon” and also mentioned his support of Sun Yat-sen. What is really interesting was the guest list at the wedding – it included Mrs Lee Hysan (whose family own most of Causeway Bay), her son Wing-Tat Lee (who introduced Seven-Up to HK) and son in law Hank Sperry (then taipan of Citibank in HK) and also Dr. Li Shu-fan (the founder of HK Santorium, the top hospital in HK and another close ally of Sun Yat-sen) and dentist Dr Wong Man-sam (whose son Dr Andrew Wong was president of the American Club in HK). If you can provide me with your email address I can email you the article. With regards to Ng Jim Kai, is your aunt Bernice a granddaughter of Ng? 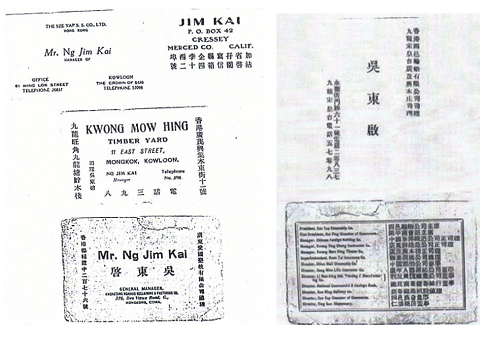 In your Youtube video I noticed there were pieces of paper which Ng Jim Kai’s Chinese name was listed and he was referred to as “Betty’s maternal grandfather” (Is Bernice the same person as Betty). If you can send over copies of these family info in Chinese maybe I can help you find out more. Didn’t know about the many high-profiles business people that attended my grandfather’s second marriage. Wondering if any of his children from his first marriage were in attendance? Again, thank you for reply and efforts. On my next trip to GZ and HK, I will have the privilege of meeting you.